Fellow JYJ member Kim Junsu is singing an OST with the title of “I Don’t Like Love” (also translated as “Dislike Love”, “I Hate Love”, or “Hate Love”) for SBS drama series “Rooftop Prince“. 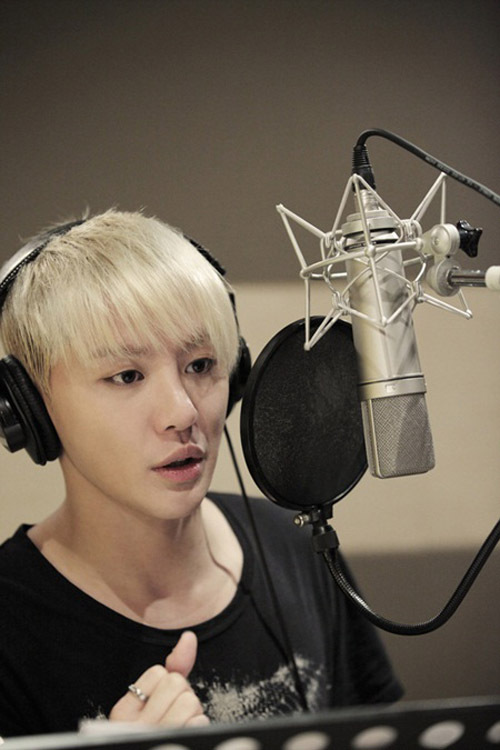 The song “I Don’t Like Love” is composed by the composer of hit OST “That Woman” from “Secret Garden”, Jeon Hae Seong, and is set to release as Kim Junsu’s single on May 15th, 2012. The song has made its debut on the TV screen through episode 14 of “Rooftop Prince” aired on May 3rd, 2012, although it’s used inaptly as the background music on the scene of Se Na (Jung Yoo Mi) and Tae Mu (Lee Tae Sung). Nonetheless, it provides sneak preview for the eager fans to listen to the song. The fans at DCinside has listened to the song and wrote the lyric. As only slightly more than 1 minute of the song was aired, so the lyric is not complete. In addition, as the song is mixed with actor’s voice, so part of it is not clearly heard, and hence may be recorded wrongly.